© 2019 by Karrinyup Anglican Church. Email webslave or talk to Kevin Mullen about it. North Beach holiday club, Carine holiday club, Trigg holiday club, Gwelup holiday club, Scarborough holiday club, Doubleview holiday club, Innaloo holiday club, Stirling playgroup, Perth holiday club, Northern Suburbs holiday club. North Beach playgroup, Carine playgroup, Trigg playgroup, Gwelup playgroup, Scarborough playgroup, Doubleview playgroup, Innaloo playgroup, Stirling playgroup, Perth playgroup, Northern Suburbs playgroup. 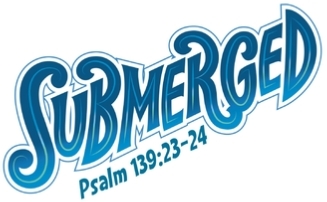 A holiday club for primary school children, with games, crafts, singing, drama and stories about Jesus. As kids submerge themselves in God’s Word, they will discover that Jesus saw people differently. He didn’t just see what’s on the outside; He saw who people were down deep. The holiday program is open to all primary school kids from Karrinyup and the surrounding suburbs of North Beach, Carine, Trigg, Gwelup, Scarborough, Doubleview, Innaloo, Stirling - indeed all of Perth, and the Northern Suburbs. For parents, the holiday club offers child care / child minding for the mornings, with your children being left in a safe caring environment which they will find stimulating, interesting, and fun. Prepare to embark on an adventure like no other, scouring the mysterious fathoms of the deep sea. Thrilling discoveries await just beyond the portholes of your submarine. Things look very different once you get below the surface – and that’s true for life above the surface, too. As kids learn to see themselves and others as Jesus sees them, they can realize that everyone needs a Saviour – even those who look like they have it all together. A relationship with Jesus Christ changes everything! All you have to do is dive in!